In top form. Mössner cast part processing systems set the pace. Sawing, decoring, deburring, cooling or processing in another way – complex and highly automated processes are behind the precise and fast processing of cast parts with Mössner special machines. 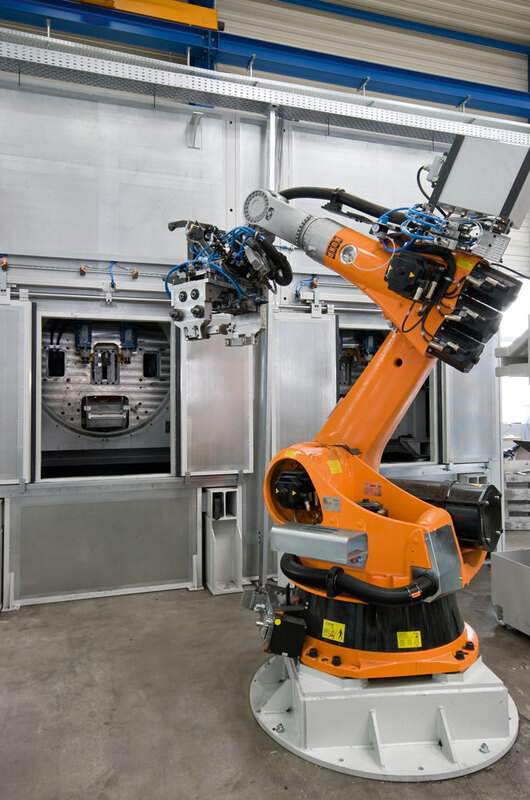 The highly automated Mössner part processing systems for castings enable all the sub-processes required for processing castings in a machine system: part recognition, part handling, part transport, separation of the gates and risers, production of clamping and processing surfaces, fettling and deburring. The separation and disposal of return material and ultimately the handover of the tested components can also be organised centrally. The systems are either designed as compact noise-protected cells or as transfer lines.